Who knew? Coffee filters are good for more than just coffee! 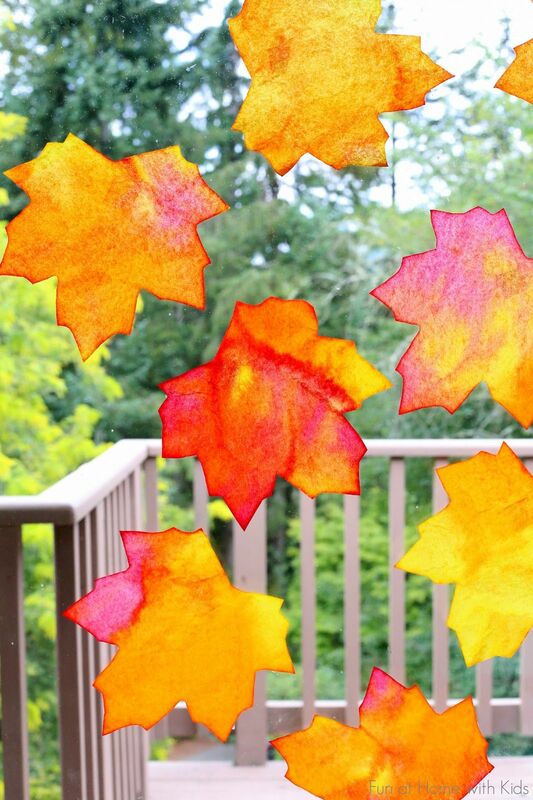 With a pattern, some trimming, and some watercolors, you can turn them into these great fall-themed suncatchers! As it turns out, coffee filters’ light weight and translucence makes them the perfect material to use for suncatchers. Not to mention they’re really cheap! For a few bucks you can make enough suncatchers to cover every window in the house.